1. 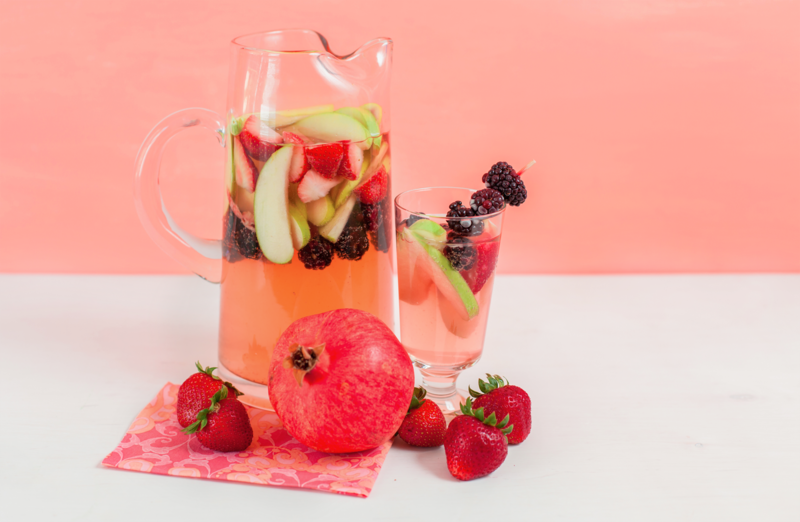 In a large pitcher, combine apple slices, strawberries, blackberries and pomegranate juice. 2. Add in white wine and Cointreau. 3. Cover and refrigerate for 4 – 5 hours. 4. Remove from refrigerator. Add lemon-lime soda before serving. Serves approximately 6. 1. 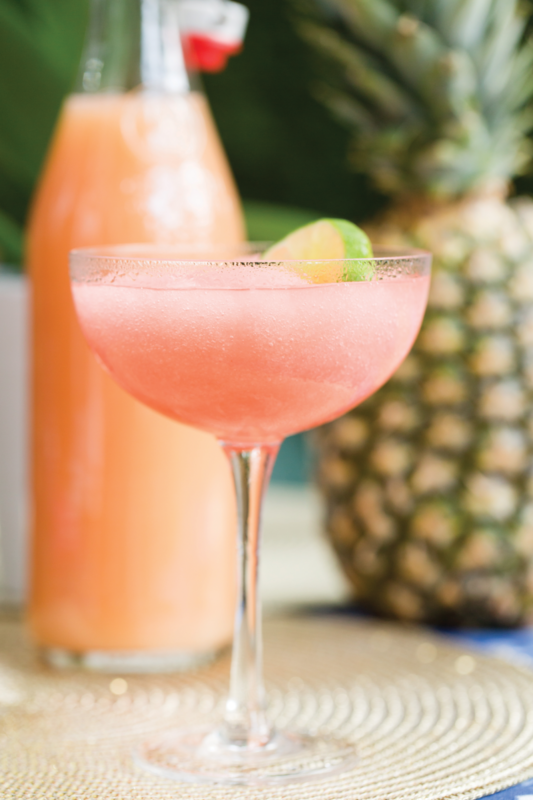 Combine ingredients in a heavy-duty blender and blend until ice is smooth. Pour into a champagne coupe or wine glass, and garnish with a lime wheel. Serve immediately. Serves 1. 1. 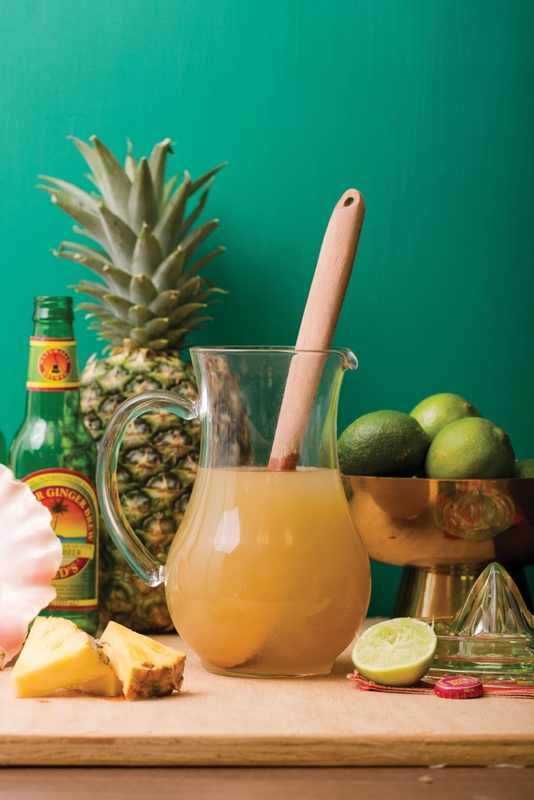 Pour the vodka, rum, lime juice, pineapple juice and nutmeg into a large jug. Stir and refrigerate until ready to serve. 2. Right before serving, add the ginger beer to mixture. 3. 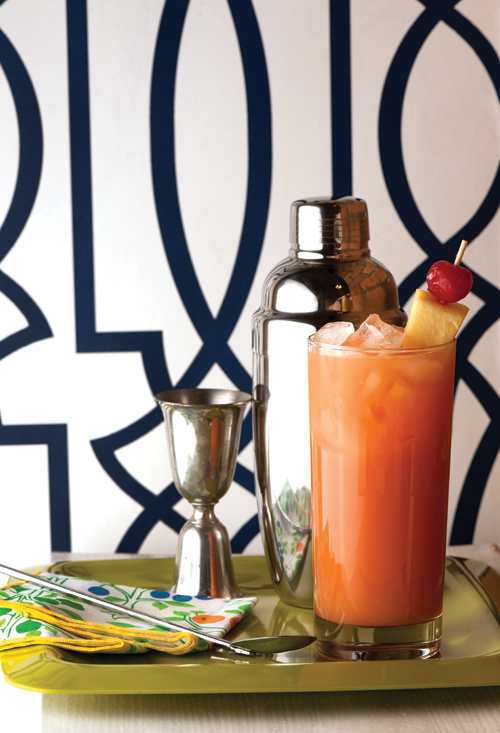 Serve over ice and garnish with fresh pineapple and lime slices. Serves 4. 1. Shake together first 6 ingredients and pour over ice in a tall glass. 2. Garnish with pineapple and cherries. Makes 1 serving. 1. 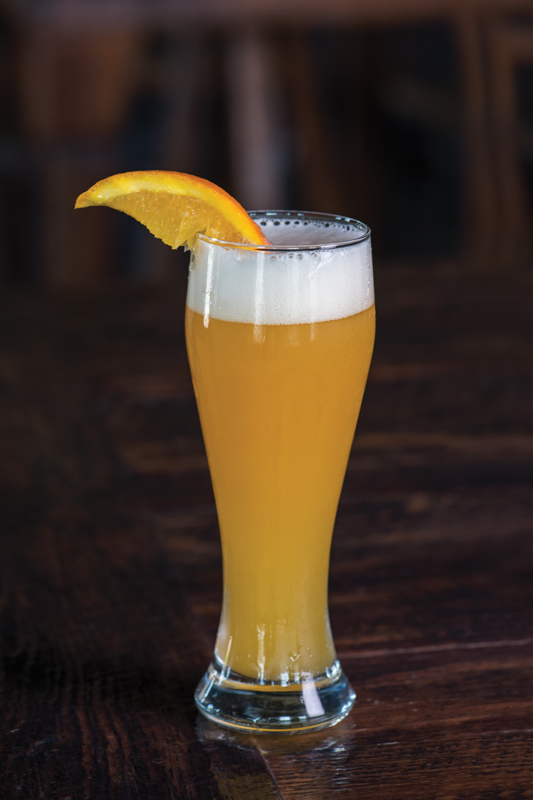 Pour Everyday Ale into a pilsner glass. 2. Top with juices and triple sec. Garnish with an orange slice. 1. 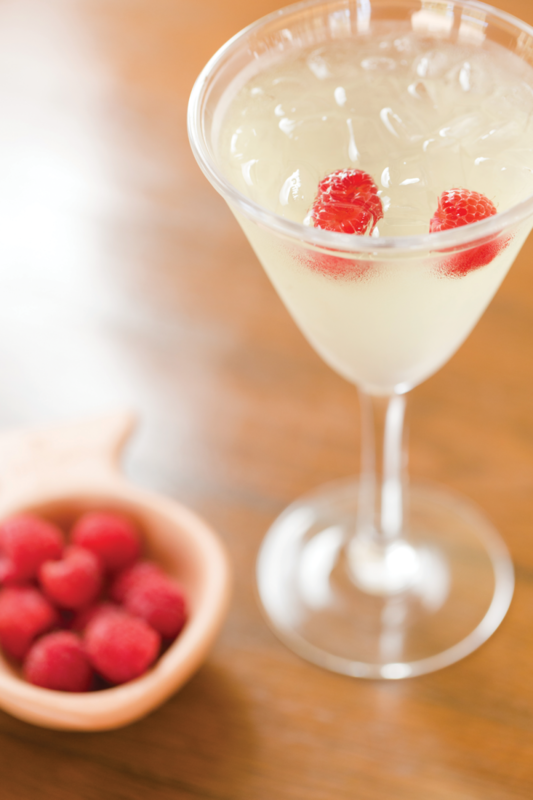 Put raspberries in the bottom of a glass and top with ice. Pour vodka, sour mix and Moscato over the top and serve. Serves 1. 1. Place 1 scoop of ice into a mixing tin. 2. Add vodka, simple syrup, mint leaves. Squeeze and drop lemon wedge into. 3. Shake contents vigorously and transfer into drinking glass. 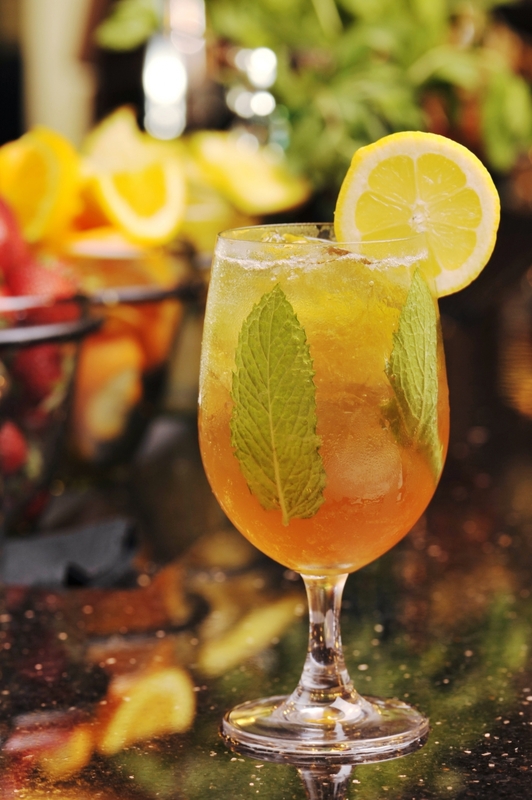 Garnish with a lemon wheel and a fresh mint sprig.